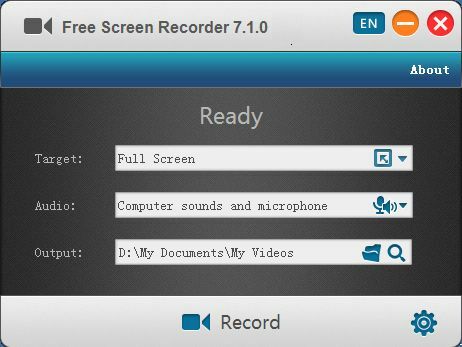 Gilisoft Free Screen Recorder is an easy to use screen recording software for Windows. You can record from webcam, external devices, from your computer screen or from streaming video. It can also record input audio from the microphone. You can output the recording as MP4, AVI, WMV, FLV, H264 etc. If you wish, you can also add a watermark. NOTE: This software is provided by the developer for free but there are upgrade options for more features.